This stunning bracelet features a traditional Irish claddagh design that incorporates two hands coming together to hold a heart with a crown at the top. This bracelet makes the perfect gift for that loved one in you life! 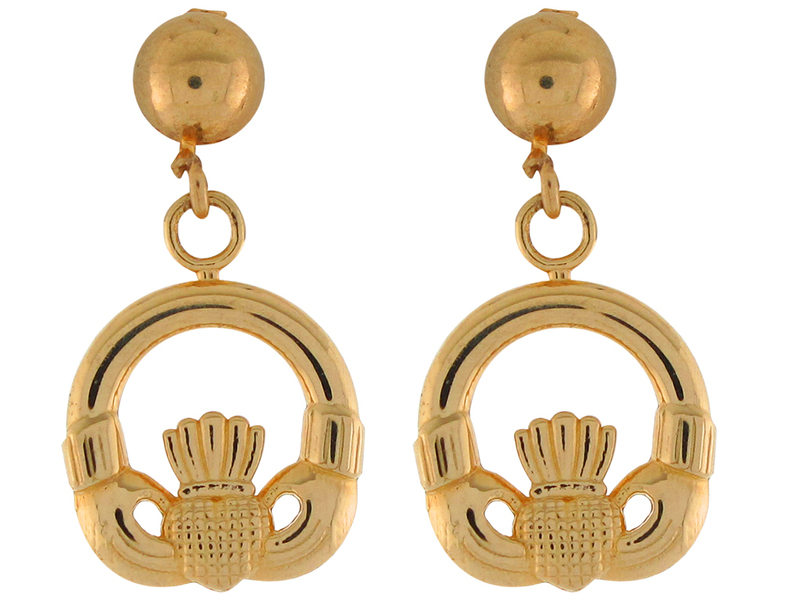 The claddagh symbol is well known for its association with love and friendship, and also shares a large association with Ireland as it has become an icon of Irish identity in the late 20th century. Only fine 10k/14k Yellow Gold is used to craft this impressive piece. Additionally, a high polish finish is given to the bracelet to create mirror like finish that is sure to turn heads. Our bracelets are proudly handcrafted in our California factory.